Call and let us help you today. With headquarters in Burley and being locally owned, we know what Idahoans need and want. We know what garage doors will work best for your house and your unique situation. With complete customization, quick response time, honest answers and quality products, we are here to help you. 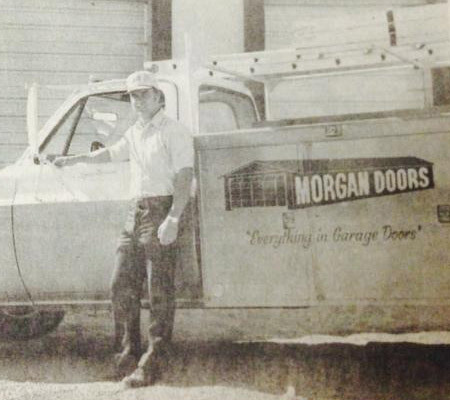 Morgan Door Company has been around for years and has been passed down from Lynn Morgan (founder) to his son Roger. Growing up in the business Roger and his crew are more than qualified to service your garage doors and take care of your individual needs. Lynn Morgan started the business. Roger moved back to Burley and started taking over the business. The new warehouse was purchased in 2008 and the office was added in 2013. Braxton started in March of 2008. Roger grew up in the business and loved going to work with his dad (Lynn). Since moving back in 1998 he has helped the business grow into what it is today, but has kept the same values Morgan Door Company has always had. He purchased the business during the 2000’s and is Owner/President of Morgan Door Company Inc.
Roger and Shaundalee are the parents of 6 children and live just south of Burley. Braxton has been with Morgan Door company for over 6 years now. He is Roger’s right hand man and helps make sure everything is taken care of. He is experienced and qualified to take care of all your garage door needs.